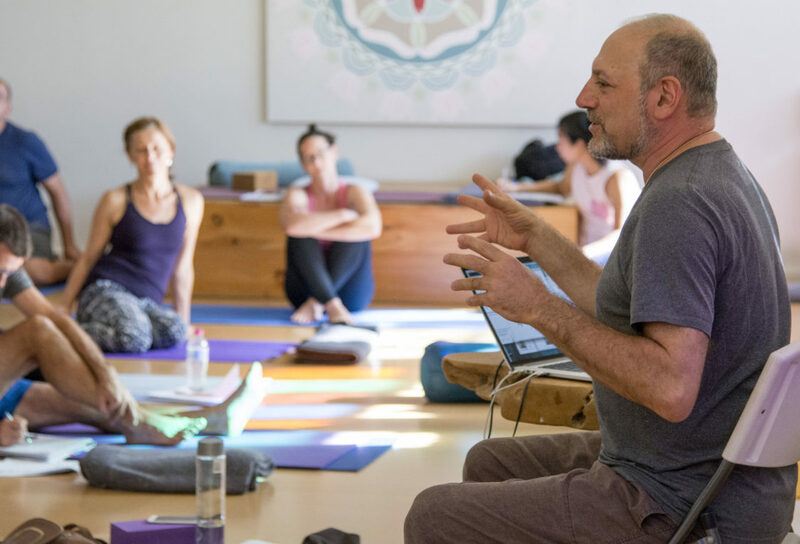 David Williams returns to triyoga Chelsea from 19th – 22nd July to lead his acclaimed weekend of workshops, Ashtanga Yoga for the Rest of Your Life. Read on to discover how he introduced Ashtanga yoga to the Western world, how he practices now and his advice for beginners. You’re one of the first teachers to bring Ashtanga yoga out of India and to the Western world. This sounds like a fascinating story – tell us all about it! In my teens, I heard about the yogis in India, who got older and wiser and had excellent health their entire lives. I wanted to know what they knew. I started daily yoga practice at the age of 21, during my senior year at the University of North Carolina. After graduation in 1971, I hitchhiked across Europe and went overland through Turkey, Iran, Afghanistan, Pakistan and into India. I searched all over India, looking for the best yoga system. I called myself the yoga detective. In 1972, I saw Manju Jois do the Ashtanga yoga primary series. He impressed me very favourably, and I was determined to learn what he knew. I asked him to teach me. He agreed and asked me to bring him to America. I went to Mysore, where Manju’s father, Pattabhi Jois, and his brother, Ramesh, taught me the complete Ashtanga yoga syllabus – the primary, intermediate, advanced A and B series of asanas (postures), as well as the Ashtanga yoga pranayama (breathing practices). At that time, no one was practising the entire syllabus. 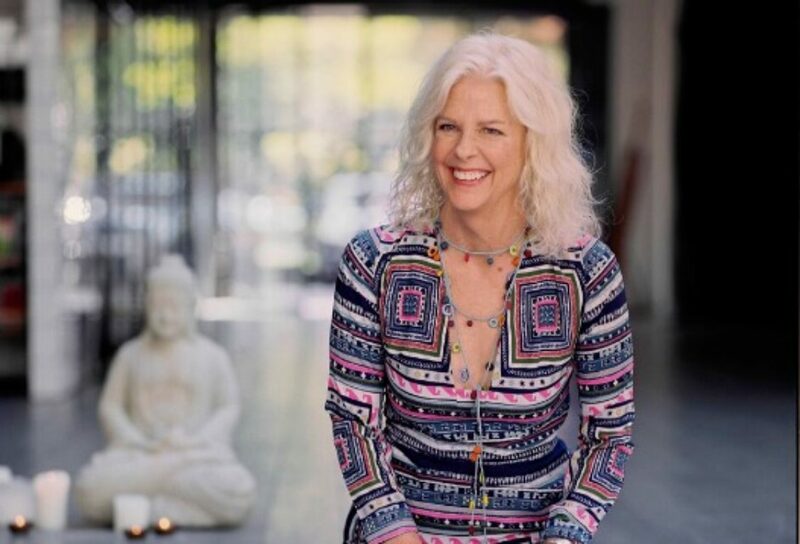 I learned the complete syllabus, and I was the only person practising the 4 series and the pranayama for several years, until I taught David Swenson, Danny Paradise, Kathy Cooper and several other students. 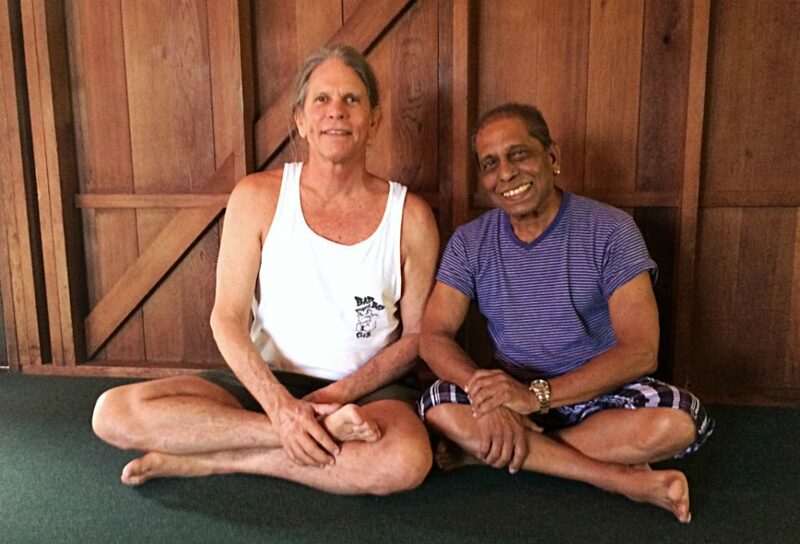 In 1975, I brought Manju and Pattabhi Jois to California, fulfilling my 1972 promise to Manju. For 2 months, they lived in my home and taught me and my students daily classes. At the end of that time, Manju stayed in California and continued teaching Ashtanga. I went to Maui, Hawaii, and began teaching the Ashtanga there. I immediately had 40 students from 11 countries, and the Ashtanga yoga gradually spread all over the world during the next 40 years. Ageing in our Western society is a sensitive topic with all the general ideals of youth and beauty. How do you feel about getting older? I hope to age gracefully as a yogi and to enjoy life to the fullest in a state of joy and wellness. I plan to swim and practise yoga daily for as long as I am able. I live in a relatively conscious and evolved society on Maui, Hawaii, where I believe more people practise yoga (yoga practitioner/population ratio) than any other place on Earth. What does yoga mean to you personally? Yoga is a Sanskrit word. In English, yoga translates to the word meditation. Meditation is the space between the last thought and the next thought. Yoga begins when thinking ceases. Most people throughout history have lived and died and never experienced meditation. Their minds are in constant flux. Also, yoga is skill in action. A yogi spontaneously does what is appropriate, because he is sensitive to the situation. A yogi lives impeccably. Yoga is the grand alchemy of converting stress to prana. What is poison (bound up energy) for others is elixir for yogis. What is the essence of Ashtanga yoga? Ashtanga yoga is 99% practice, 1% theory. Before the practise, the theory is useless. After the practise, the theory is obvious. The only way to experience the benefits of yoga is to do it. Is there a right way and hence a wrong way to practise Ashtanga yoga? Yes, if it hurts, you are doing it wrong. This is true for any method of yoga practice. Hurting yourself more will not make you hurt less. The one most likely to practise tomorrow is the one who enjoys his practice the most today. The goal of yoga is to increase prana. Nothing reduces prana more than pain and injury. Improving your practice over the decades means getting more sensitive to one’s self (self-knowledge, self-realisation) in order to be able to have a more profound endorphin experience each time one gets on the mat. The cultivation of prana is manifested in the endorphin experience. Proper yoga practise is a 100% endorphin experience and a 0% adrenalin experience. There have been a lot more yoga styles created recently – lots of teachers feel inspired to create their own yoga. How do you feel about that? The goal of yoga is liberation. Everyone is free to practise yoga any way they want. However, if their practice does not abide by the first rule of yoga, ahimsa, non-harming, it is not yoga. Observation over the years will verify that many of these yoga methods are so weak that the practitioners will get old before they get well. I went to India looking for the most ancient, classical method. I wanted something that had been tried and tested over the centuries and had been proven to be effective. Pattabhi Jois told me he would teach me a system of yoga that was over 5,000 years old. It was an exact classical system outlined in the Yoga Korunta by the Yogi Vamana in the 11th century. He knew what I wanted to learn and I became his student. If I find a better system of yoga, I will learn it. As far as I know, Ashtanga yoga, practised properly, is the most powerful yoga system that is known to man. How has your own practice and also your teaching developed? How often do you practise today? How many hours? From the beginning, I was fascinated to experience what would happen if a person put all his energy into practising yoga for an entire lifetime. Pattabhi Jois insisted that I practise twice a day when I was his student. I practised asanas and pranayama twice a day for the first 18 years, about five-and-a-half hours a day. Also, I generally swam half a mile in the ocean before each session. Now I practise once a day, after swimming half a mile. At the age of 67, I practise the Ashtanga yoga primary series and pranayama. I do pranayama for thirty minutes, and asanas for one hour, followed by twenty minutes in corpse. If I do not do a full practice, I at least do the Ashtanga yoga daily minimum of three of each Salutation to the Sun and the three finishing postures. I have practised daily, without interruption, for 46 years. I hope to continue practising for another 46 years, at least. When I practise Primary series alone, I hold the upward dog for 5 breaths to counter balance the large number of forward bending postures. To me, this feels correct and exemplifies the yogic principle of stretching equally in each direction to have a balanced asana practice. To equally stretch both sides of my rib cage, I roll each direction every time I do Garbha Pindasana. To avoid neck pain and injury, I omit the backwards summersault after Supta Padangustasana, and I omit Setu Bandhasana. I do not do or teach headstand or shoulderstand. For validation see: https://yogainternational.com/article/view/king-and-queen-no-more. Otherwise, I practise move-by-move, breath-by-breath, exactly as Manju, Guruji, and Ramesh Jois taught me according to the ancient classical method expounded in the Yoga Korunta. What is your advice for beginning students? If it hurts, you are doing it wrong. Do not let anyone hurt you, do not hurt yourself and do not hurt another person. Read the ancient yoga scriptures. Pain is never mentioned, because pain has no place in yoga. Yoga asanas were designed to end pain, not to become a new source of suffering. Yoga can be a wonderful thing in your life, but each of us is one injury away from permanently destroying the possibility of experiencing the benefits and joy of practising yoga in a painless body past the age of 100. We know yogis have done this in the past, and each of us has the potential of being a yogi in this lifetime. 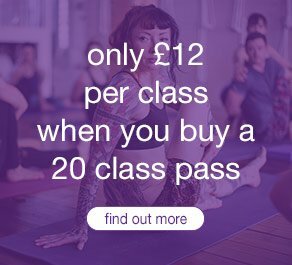 Join David Williams at triyoga Chelsea from the 19th – 22nd July. To find out more and book, please click here.